This past weekend I went down to VA, and while there I went to a meet at the Science Center and saw an Imax on butterflies. It was a lot of fun, even if it was technically for far smaller people than us. They had some really interesting stuff that you could play with like text to speech software, interesting robotics, and a lab full of butterfly specimens (the poor things!) that you could examine under a microscope. I absolutely loved the butterfly Imax and I totally recommend it if you have an Imax near you that’s playing it! One of the things we saw while there was this awesome perspective room which made you look tiny or huge depending on which side you occupied. 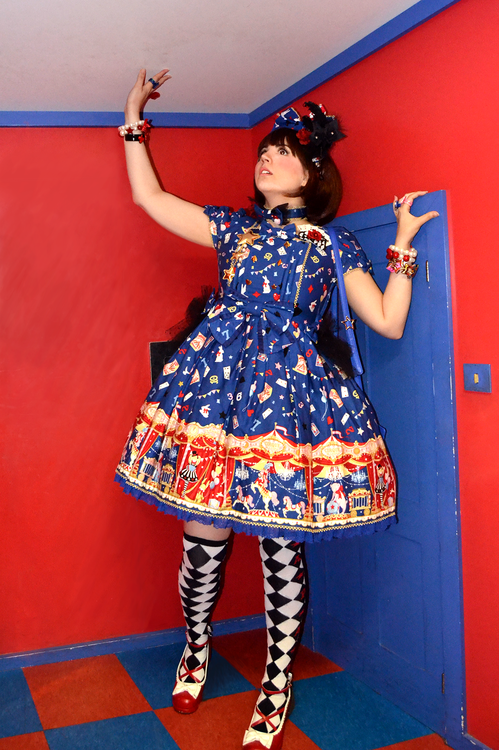 It was done up in a red-orange and blue and so we decided we had to get some Alice-inspired pictures of us all being shocked at random growing/shrinking. Photography/editing by the lovely ladies over at Belladonna. 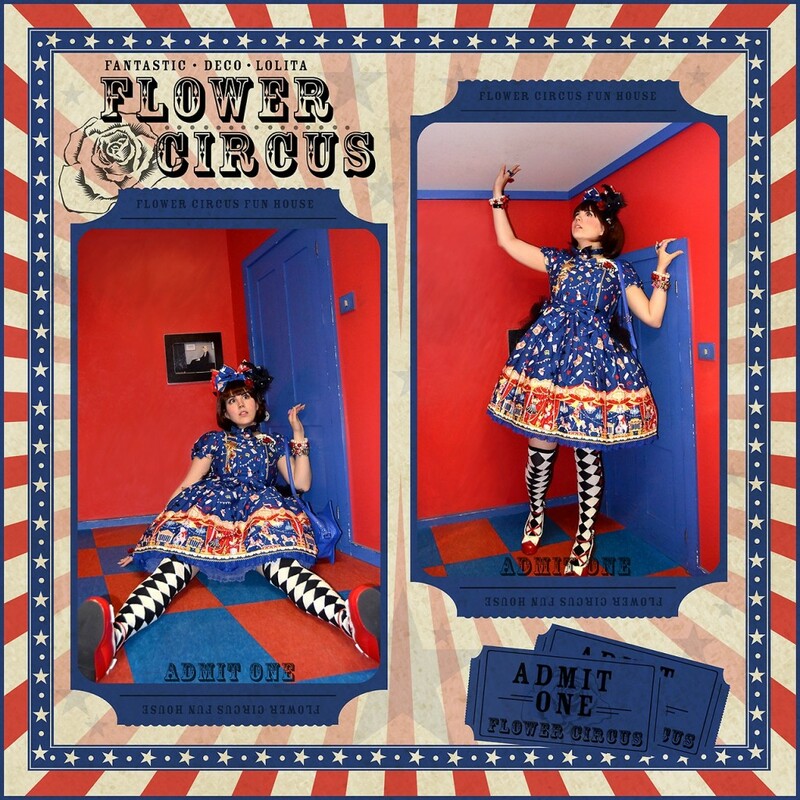 I’d kinda been toying with the idea of entering the Lockshop flower circus contest since it was announced because circus prints are one of my favorite motifs and I just obtained this OP (and the JSK) from Angelic Pretty. 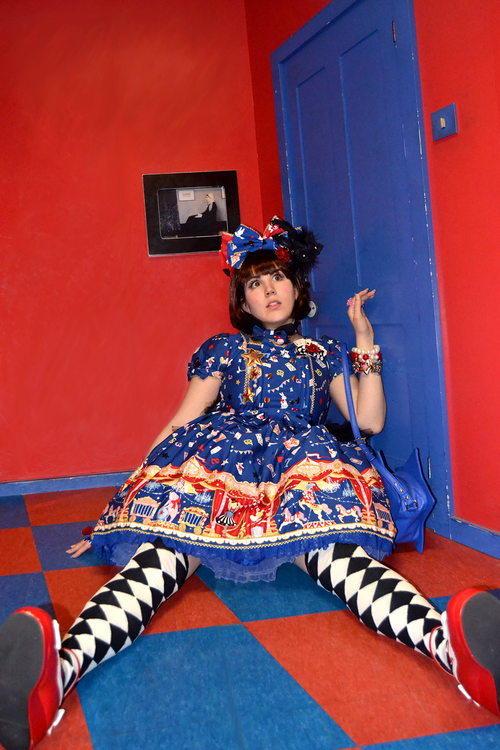 So, when she extended the deadline and I happened to be planning on wearing this OP, and then we found this room, things just sort of came together. Voting ends on the 8th of August, 2013. If you would like to vote for me, just pop on over to my entry on Facebook and press like.